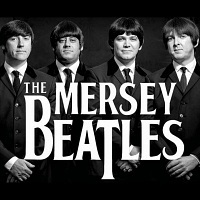 The Mersey Beatles are a Beatles tribute band formed in 1999 by childhood friends from Liverpool. "They had a record collection in common. The Beatles records were always sitting on the very top of that pile...and they still are to this day."